US mobile operator Sprint has been told to pay $30m (£19m) to a company that claimed it used patents it did not own.Prism Technologies makes money licensing its patents, and has taken many companies that use them to court. The company holds a number of patents relating to computer security. A jury in Nebraska ruled Sprint had violated two of them. Prism Technologies has also accused T-Mobile, Verizon and US Cellular of violating the same patents. A court in Nebraska found in favour of Prism after it sued Sprint for violating patents covering ways to “manage access to protected computer resources”. Prism president Greg Duman said the damage award was “further validation” of the value of the inventions to which it owns the rights. 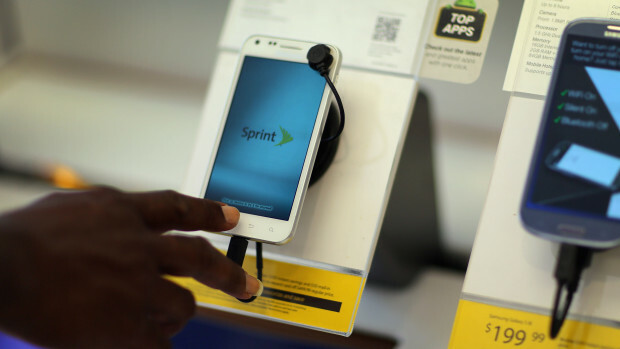 In a statement, Sprint said it planned to pursue “post-trial motions” to contest the judgement. The cases against other phone firms are pending. A separate case involving the same technology against AT&T was settled before it came to court. On its website, Prism claims that 30 other companies, including Adobe, Microsoft, Blackberry and Bank of America have already licensed the technology it patented. The court decision is the latest in a series of judgements that have spotlighted the way the US hands out and manages technology patents. Some critics claim that the US patent system allows companies to acquire the rights to inventions and demand money to use them, without making products of their own – a tactic that earns them the name of “patent trolls”. Some organisations make sweeping claims about the impact of patents they hold hoping the accused will settle out of court to avoid a costly trial. “To be fair, Prism Technologies is better than most,” patent litigation blogger Florian Muller told the BBC. “It actually took its patents to trial and prevailed,” he said. “But I have yet to see a patent in the IT industry that really warranted a 20-year monopoly for its holder. US President Barack Obama has already called for a patent reform bill to help businesses “stay focused on innovation” but progress on that legislation has been slow. “It’s a pressing problem in the US and previous patent reform efforts in Congress fell far short of what’s needed to bring about change,” said Mr Muller. “US politicians do appear serious about reform, but Europe is going in the other direction with its future Unified Patent Court.